Many cultures tell important stories via symbolism. How does one relay the sight if a large writhing orb in the sky, red and orange like fire, turning the world upside down and creating change in every aspect of life. If this sounds like the dragon symbol in the I Ching symbology, it is! As time passes and those who lived through the horror die, generations passing, only the symbol itself remains, its basic meaning lost in the fog of passing years. Is 3000 ft. above sea level high enough to avoid hot earth? [and from another] ../poleshft/p68.htm: Those situated where rapid subduction occurs on areas above sea level may themselves on hot earth during the moments following a pole shift when the crust stops moving and the plates in essence slam into each other like a train whose engine suddenly comes to a stop. Here height helps, as the greater the distance from where friction between the crusts is creating heat, the better. The heat can be great enough to melt rock, as witnesses who have survived such terrifying sights attest. Plates sliding over one another do not do so with rough surfaces, as any rough edges are broken off and travel with the subducting plate or remain with the overriding plate. This is a great part of the resistance to movement in subduction zones. But when movement starts, the zone between the plates is even. Thus, one could conclude that being on mountains in a subduction zone would put distance between the would-be survivor and the point where melting rock occurs. Melting rock was witnessed only near streams and rivers, which routinely flow in the lowest part part of a terrain. The guide, thus, should not be sea level elevation per se, but the distance from valley bottoms, a relative distance. Perching on top of mountains of course has its risks, too, because of the hurricane force winds, so a compromise must be made. What effect, do the Zetas predict, will the "7" event have on the already fragile cover-up? [and from another] Will the end of the year, something that finally convince everyone it is the existence of Planet X and the real threat it poses? Will there be something in addition to achieving a mark "7" that will make people reconsider their views? Nancy has been calling this the threshold year, just as 2009 was, in her mind, the signs-in-the-sky year. Why would signs in the sky not crack the cover-up, and what would cause 2010 to be the year when many cross over into admitting, to themselves and to others, that the government is lying? Up until this point the tightly controlled astronomical community, combined with official pronouncements from NASA, has given the impression that all is normal, despite obvious evidence they are editing SOHO and the placement of the Moon, Sun, and constellations are not where expected. At what point do people start believing their eyes and not believing the experts? The media is fully in hand, avoiding subjects on the ban list and promoting endless distractions while the common man is left to wonder if they are having hallucinations, as the world they see has so many extremes in weather and a trembling Earth - not what the media portrays. We have predicted that this year, 2010, will be the year when the common man switches from looking to the media and experts for their answers, and to intense and anxious discussions on the Internet and in public gathering places like cafes or bars. What is it then, about 2010, that will push the public over this threshold? Earthquakes and plate adjustments are described by geologists as lots of shaking but little positional change in the plates. This fits the explanation that anything cataclysmic that happened to the globe to cause positional stress in the plates in the past happened millions of years ago, and all since then has been just settling down from those cataclysms. But why would major plate adjustments happen now? The trend would be in the opposite direction. Rather than a continuation of history, in adjustments, the plates seem to be lifting out of their beds and heaving in directions not historically in evidence. The media can fill up with experts, spouting tectonic plate theory, but this question will remain unanswered in the mind of the common man. Thus, they will seek answers elsewhere. I just took an airplane flight from the US to Canada, and lo and behold it is substantially warmer here in Canada than in the US. I also flew from East to West which always has headwinds and guess what - almost no headwinds and the flight time was dramatically shorter - first time ever I have experienced that and I have made many many trips going West. I then noticed in the newspaper while on the flight that the weather map for N America showed pockets of hotter air in parts of Canada than almost anywhere in the US. Then when arriving at my destination the radio talked about gusty winds to be expected - which we have been getting practically every couple of days back in the US. And of course, many parts of the US (and elsewhere) have been flip flopping from near record lows to near record highs. I have thought a lot about the Zeta's comment that the weather will blend into one season - can the Zeta's please comment on whether we are now at that point - or whether they are referring to even more extreme and unusual weather related phenomena to come? Certainly, this is not yet a blending of the seasons. It is an atypical Spring, for you. The Earth wobble does several things to the N American continent. As we have mentioned, most of the time the magnetic N Pole is trying to avoid facing the Sun and the approaching Planet X, so in general the northern hemisphere is colder than usual. This will be the case until the pole shift. In addition to this tilt, there is the daily Earth wobble. 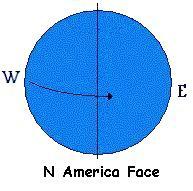 The magnetic N Pole of Earth is more centered over Siberia than north of Canada as in the past. 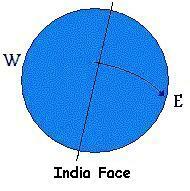 Thus when the Sun is overhead in the Pacific or India or Europe, the magnetic N Pole is pushed back over the horizon. When the Sun is overhead in the Americas, the N American continent bounces back, as it is under tension to align with the Sun's magnetic alignment too. When doing so, the globe is pulled under warmer air, suddenly and forcefully. The blending of the seasons is still ahead of you, when the globe starts leaning to its side with greater frequency and for longer periods. A lot of Chinese who have known the coming poleshift have already been preparing for themselves and their loved ones. 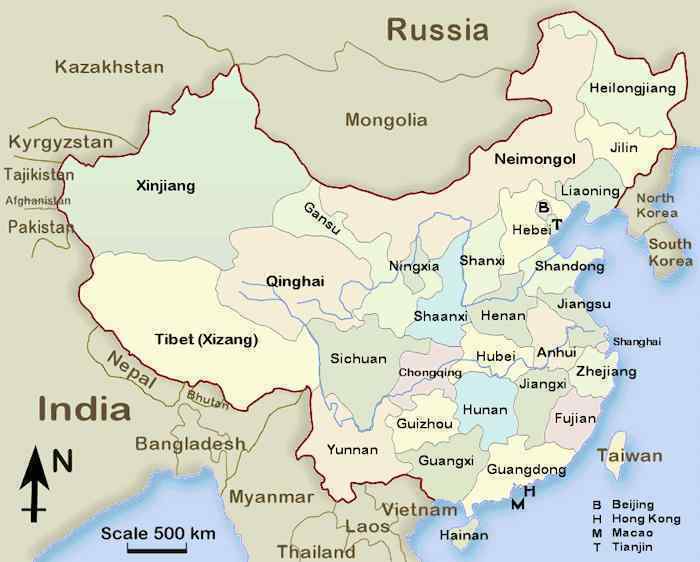 But they are all confused about how to find a reliable safe place among quite a large number of provinces in China. I know there are safe location sections in ZetaTalk website,but they are not specific enough about China , particularly which provinces will be safe enough. So my question is : can Zeta tell us specifically which provinces are really safer than the others? [and from another] It is true that China is huge, and unlike Europe with small countries and the US with small states and Canada with several provinces, has not been detailsed in the Safe Locations information. These new provinces will be added to the Safe Locations info on the web. Currently we only have China and Beijing. As with other countries closely surrounding the new S Pole of Earth, Tibet and Yunnan Province will be plunged into cold temperatures, and even those used to living with cold summers and bitterly cold winters today, due to the elevation of Tibet, will be unable to adjust. Life in perpetual ice and snow, with the inability to garden, will force those hardy enough to migrate to do so, and those unable to make the trip to simply freeze and starve to death. The highlands of the many provinces that lie between Mongolia and the coast of southern China will have a climate equivalent to southern Canada today. This allows Canada to grow grain and house herds of cattle. The highlands in the provinces, inland from the coast of southern China, will escape the punishing tidal waves that will assault Guangzi and Guangdong and Fujian provinces. As all dams will break during the magnitude 9 earthquakes that will rack the Earth, the 3 gorges dam on the Yangtze River will likewise fail, with disastrous flooding for any downstream. The provinces along the coastline of the Yellow Sea will suffer from tidal bore that will roar up into the bay until it drowns Beijing. Cities such as Shanghai will find the combined high tide and tidal bore more than they can stand. Even those clinging to boats will suffer in the swirling waters. Those above Beijing will find themselves hosting sputtering politicians, who will attempt to made demands and expecting subservience. Their climate will remain similar to today, however, so survivors will have less adaptation required. This provinces north of Korea will have the additional burden of dealing with drowning and migrating Koreans, who will find their peninsula washed over during the compression of the Pacific and the press of water coming directly from the Pacific during this compression. Already starving, this will burden any survivors in Jilin Province. Heilongjiang Province will experience a warmer climate than formerly, being closer to the new Equator. Those in China planning to migrate prior to the pole shift will find this a good target, as well as lands in the northernmost part of Neimongol Province. In several places on earth, people report about "gravity anomalies" where cars as also all round items roll uphill, where the mind says it goes downhill. At Via dei Laghi /Italy or at Karpacz Górny / Poland can be found this phenomons. I was myself in Poland/Karpacz at the locally called "gravity anomaly-Strazacka-street " where I could observe the mentioned phenomenon. I checked maps and Google earth which all say its an optical illusion, but then there were calculations made with a "sideric pendulum" to measure gravity and other equipment like GPS to prove a difference in altitude. The calculations say that gravity is reduced by 4% (at Karpacz/-Strazacka-street). Is this phenomenon real, or are they all optical illusions? If yes, what causes this? http://www.borderlands.de/gravity.anomalies.php3#4 [and from another] From what I have read, it is an optical illusion. http://en.wikipedia.org/wiki/Gravity_hill I recommend you look up the mystery cabin in Oregon. Similar mechanics at work. [and from another] I know offically its treated as optical illusions, but please watch this video at 1:40 http://www.youtube.com/watch?v=neZPD_qNhY4 and look at the trees, they have a shorter angle to the hill so grow uphill. If it is an illusion all plants must have grown away from the hill, a great angle between the hill. I want to add that all measurements (water level) taken there would be influenced by the gravity anomaly (if it is a real phenomenon). In our cultures (Ukraine, Russia) there is rumor about "Prather Zone" in California - a gravity anomaly. http://www.intalek.com/Index/Projects/SantaCruzCA/SantaCruzCA.htm, http://www.mysteryspot.com/index.shtml It's something similar. I guess it could be places like Bermuda Triangle, where particle flows from the core create disturbance in the fields - gravity and EM, bending light rays etc. Since man cannot explain them, such gravity anomalies around the world are explained away as optical illusions. Trees growing at an odd angle are explained away as reaching for the light, even though trees on comparable hillsides do not grow in this manner. Humans, finding themselves suddenly leaning at an angle where only feet away this was not the case are accused of being subject to suggestion, suggestible, or perhaps a paid performer in on the hoax. If a level it placed on the ground, and indicates a difference in the gravity anomaly spot, then perhaps the ground was not level there. Perhaps the operation of a pendulum that seems to be working against gravity is being assisted by a heavy magnet nearby, part of the hoax. Endless excuses because man purports to have solved all gravity problems with Newton's supposed Laws. If it is one thing that will not bend, it is the ego of man. Gravity is a particle flow, and bends toward gravity sinks or masses. This tends to be even on the surface of the globe, because the gravity sink is the heavy core of the Earth. But the Earth plates are not even. Some spots provide a better avenue than others for gravity particles to glide toward the gravity sink of the Earth's core. Just as water will take the course of least resistance, gravity particles likewise do so. [and from another] I don't care what the amateur or professional astronomers say, the sun is setting just left of due north in eastern Iowa and it doesn't even do that at summer solstice! I have planted hydrangeas on the north side of my house this spring and they got sunburn wilt! They have to be watered daily because there is no protection to my north. [and from another] My understanding (please correct me if I'm wrong) is that the Sun should never rise/set or be north of due east/west when viewing it from the Northern Hemisphere. 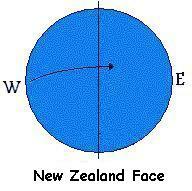 Likewise, the Sun should never rise/set or be south of due east/west when viewing it from the Southern Hemisphere. An equatorial view should have the Sun straight overhead year round. [and from another] In normal circumstances the sun is usually at its max on June 21 in the West at sunset and directly opposite in the am in the East. Observing the sun each evening thus far, puts it beyond the west or even SW where it is supposed to be and almost due north in the NNW at this time of year! If one was not observing it would not be an anomoly. Using the garden fence we track the sun through out the year, it has from September from West to NNW in May. September the sun 'should' be in the more SW position here in NW Saskatchewan, the sun rising 'should' be in the SE position when rising at that time of year. But it hasn't been that way for almost a year. [and from another] When you find Orion in the night sky, you will notice it is in the general area in which it should be, so most people wouldn't analyze it any further than that, and that's the mistake. Orion, as a human figure with a bow and arrow, should be facing the ground, or the horizon if you wish. Instead, it faces straight up in the sky. A skew, in place, of no less than 90 degrees. Orion should never appear as such. If that isn't enough proof, take the constellation just to the bottom left of Orion, which is Canis Major. Canis Major is easy to find because it contains the star Sirius, which is the brightest star in the night sky. If you take the star Sirius, and draw a line to the star just to the right, which is the last star within Canis Major, furthest to the right. That line should then go into the ground/horizon, but instead goes straight up into the sky. Again, a skew in place of 90 degrees or more. What does the tale about the Emperor's New Clothes teach? That societal pressure to see what others are seeing, and to view what we see through the same colored glasses, is intense. If everyone in a group is, apparently, not seeing what you are seeing, then you doubt your eyes. The public is told by a phalanx of heavyweights that all is normal. The weatherman has long been constrained to stop talking about all the records that are being broken, and forbidden from acting shocked. Anyone who could not comply found themselves with a different job. Astronomers, who began being assassinated starting with the Naval Observatory's Harrington, are required to sign a national security oath and if not, get visits from ominous men in black suits warning them to keep in line. In a close knit profession word gets around when accidents happen, especially after the victim had been struggling with the constraints of the cover-up. Amateurs find them selves puzzled, but because the anomalies they are viewing are not being admitted by the experts, the astronomers, they fall silent. If they raise a flag and insist the professionals address the discrepancies, they find themselves mocked and ridiculed. Certainly, taking the issue to the media gains them nothing. Thus we are left with the Emperor's New Clothes effect. Only those with eyes open, talking on the Internet and among themselves, will change this. But for those too fearful of going against officials, denial is more comfortable even when the facts are staring them in the face. Is there anything the Zetas can tell us about what kind of steps, realistically, those who rely on long-term maintenance medications can take to prepare for the shift and its aftermath? Should the assumption for some be that they will not survive? [and from another] One of the major things that I have seen in my own personal visions of the future is that I have been healed of the ongoing physical maladies I now suffer with/from. Other people I have seen in my visions who I presently know, were healed of terminal ailments as well. I have always assumed that something to do with the shift caused these seemingly miraculous healings. Could it be that the shift to the 4th density somehow changes us physically as well as changing our souls? There is much confusion about healings that aliens are allowed to perform. Who gets them, and under what circumstances? In general, aliens are not allowed to perform healings on humans without the permission of the Council of Worlds in each and every case. This applies to the current 3rd density existence and for the approximate 100 year period after the pole shift before the switch to 4th density occurs. Those alive today will surely be dead before the switch to 4th density in any case. There are extremely rare exceptions given by the Council where a human can be assisted with health problems. The human must be in a key position to assist the general course of the Transformation. Obama would be an example, and Nancy has gotten assists in the past, else she would be dead by now, many times over. Will something miraculous happen to any humans living at the time of the switch to 4th density? The day after will seem no different than the day before. But by this time, the majority of incarnations on Earth will be by highly Service-to-Other entities, and thus the majority of humans will already be living in high tech cities either with the Hybrids or other alien visitors. Let us just say that the health plan in these cities is far better than any that exist on Earth today. The rule as to when a human can come to live in such communities is that either the entire human community must be highly Service-to-Other, or the individual themselves highly Service-to-Other and able to disappear from human society without disrupting the Element of Doubt edict. Thus, for many decades after the pole shift, most highly Service-to-Other individuals would be unlikely to find themselves in this situation, as they tend to remain with the population in general, helping those in need. We have mentioned many times that humans should anticipate the pole shift placing them in a situation as existed 100 years ago, as far as health services go. Those with failing kidneys died. Those with Type 1 diabetes died. Those who needed a heart transplant died. Those with accute appendicitis died. Pneumonia regularly took oldsters out, and was considered the friend of the aged in this regard, a quick end while in a coma. Say a loving goodbye, and look forward to your next incarnation! The Annunaki are your peers, in 3rd density in spiritual development, and are quarantined from mankind. This of course will not change just because the Earth has had a pole shift. There are over 1,000 different life forms in attendance on Earth, loosely grouped into 40 different working groups. These are today given regions to attend to, so that overlap in effort does not waste the contributions of any. Since the aliens assigned to a region are familiar with the contactees in that region, have established relationships with them, and these will be needed more than ever after the shift. Regarding PX visibility in last 7.3 weeks. What exactly will change in positions of Earth/PX vis-a-vis each other to bring such visibility? Last Weeks occur when PX has almost arrived to the point on the Ecliptic, and start with Severe Wobble. So, what exactly brings visibility, if prior to that it was not visible? Or is there something not detailed yet, a 'surprise', packed in this issue? Planet X and the Earth are in a dance at present, as Planet X steadily approaches, because both are trying to avoid each other. Their magnetic fields clash. Planet X turns its N Pole toward Earth and finds the extra magnetons coming from the Earth's field crowding that side of its field, so turns back. The Earth likewise tries to evade this crowded magneton field by moving further back in its orbit, but the eddy flow in the cup prevents complete escape. Meanwhile, the cup tightens because Planet X is coming closer. Those periods when Planet X is more to the right, Earth squeezing to the left, are times when Second Sun visibility might occur, as the angle for sunlight reflection is optimal. The absolute visibility during the last weeks is due to several factors. One is that Planet X is simply closer to the Earth, having progressed along its trajectory. Another is that the Earth is drawn closer to Planet X during the weeks of rotation slowing, so that instead of 45 million miles distance it is as close as 14 million miles from Planet X.
I tried to find the answer in Zetatalk, but no luck. On one of those Nostradamus Effects they said the Mayan and Egyptians had to add five days to their calendars. Was this due to Earth being knocked or dragged farther away from the sun? If yes, could it happen again this time? Indeed, the Earth only recently had a 365 day year, and was formerly tracking at a 360 day year. After a pole shift, the Earth will reestablish itself in its orbit due to all the factors that set it into its orbit and pace in the first place. But the passage of a monster planet through the inner solar system leaves it mark. There can be subtle changes to the other planets in their orbits, such that the dance planets do with each other changes. Perhaps a greater tilt in the orbit, so that perturbations are more or less extreme, for instance. We have predicted that the Earth will resume a day of approximately 24 hours, but have not spoken to the issue of the number of days in a year. It has even happened, during prior shifts, that rotation moves from east to west, and more slowly because the dynamics of the push/pull are different. We do not anticipate that happening this time around, but it is possible. Does the approach of Planet X interfere with the tracking, navigating, migrating, spawning, and other instincts of animals? If so, will the habits of some species be so disrupted that the species will not survive during or after the pole shift? Why do many birds migrate, today? Their migration patterns in some cases seem logical, as they move from northern climes after the summer to winter over in warmer climes. But most migration patterns have an odd direction, not directly N/S and certainly not based on food sources or friendly reception. One must also assume that after prior pole shifts, some species attempting to continue their prior migrations died out, due to circumstances having changed. If the former migration pattern moved a flock into snow covered territory in summer, for instance, the flock did not fare well and was forced to alter its migration or die. Migration patterns were established, in the first place, because of pole shifts. The flock found their climate changed, and migrated in the direction of their former feeding grounds. Since flocks clue off the geography of the area as well as magnetic clues, they would also be inclined to return to their old homes. Birds, as well as all animals, have survival instincts, and are not going to fly into a snow storm forever before retreating to food sources in a warmer region. Those survivors thus establish new routes, and if the post pole shift migratory route makes sense for the flock, it becomes ingrained. We've stated that the globe will have less difference between the magnetic and geographic poles after this pole shift than in the past and that because of this the future Earth will have a stronger axial tilt than today. During the last pole shift at the time of the Jewish Exodus, the Earth began rotating before the magnetic core of the Earth could right itself, and thus the discrepancy. The last pole shift was a close pass and thus the crustal shift was a jerking to and fro, and did not involve the rotation stoppage that this coming pole shift will include. 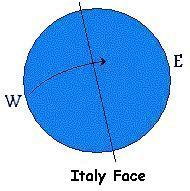 Today, the magnetic N Pole of Earth forms a cone in the sky as the Earth rotates, as the geographic alignment prevails. After this pole shift the poles will be closer together, and more in line with the magnetic alignment of the Sun which will give it a stronger axial tilt. Normally, for the Earth, the offset between magnetic and geographic poles is 10° or less. The placement of the globe when the passage occurs, in the August position, is irrelevant for seasons reestablishing themselves, thus, as the Earth will be aligned appropriately for the August position, automatically. Outside of your new geography, which of course will affect whether you are on one of the new poles or on the new Equator, the overwhelming influence on your immediate climate will be the lingering effects of the prior climate and of the prior season, and this you cannot determine without a date. Regarding the Australian east coast. I understand that this coastline will rise by some 300 or more feet as, or before, the pole shift happens. I understand that as the rotation of the earth reduces to a near stop, sometime before, or near, the pole shift, the water sea level will drop as some of the water moves to the poles. I have read that nearly all coastlines near oceans will be receiving a 600 to 700 foot tidal rise. Can the Zetas add to this and tell us here on the east coast of Australia what to expect. This will greatly assist us as we plan for this pole shift. You have the facts but we suspect are nervous about the timing. The oceans drawn to the Ecliptic by the steady rotation of the Earth will indeed migrate toward the pole during the week of rotation stoppage. Thus, if anything, the beaches of Australia will find more beach and lower tides. When the hour of the shift arrives, the globe will be turned rapidly, in the course of an hour, and the first ocean slosh will occur in the opposite direction of the turn. Thus the northern shores of Australia will experience the 500-600 foot tide almost immediately. As the hour progresses and especially as the hour of the shift is coming to an end, Earth plates will start slamming into one another. It is at this point that a rise in elevation for the eastern half of Australia can be expected. 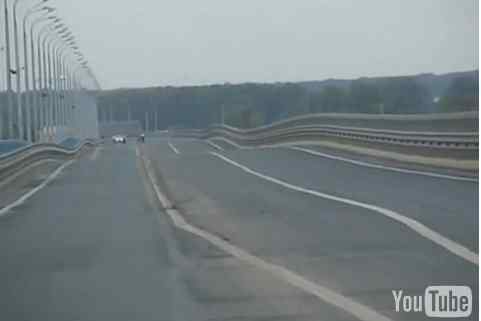 Could Zetas explain the recent swing bridge in the Volgograd (Russia), who began to walk "shake" itself. Experts have put forward different versions, but no seismic activity or wind could not so could affect the progress of the bridge, the more the wind was not so strong. What influenced the vibration of the bridge? No seismic activity would be recorded in a stretch zone, where rock layers pull apart, and in a halting fashion. River bottom land is sinking, the rock layers pulling apart which is why it is sinking and has become river bottom land. Rock layers stretched thing has less support than the thick rock strata in the highlands and mountains. It often takes very little to start a sway, which builds upon itself. One side of the bridge jerks slightly as rock layers in the stretch zone pull apart. This is not recorded as a quake because it is not a jolt where rock slams other rock, but a pulling apart into soft ground, the muck of river bottom land. The bridge is pulled to one side, and then compensates by a return, which is stronger than the initial pull because now gravity is involved, and like a pendulum it keeps going. What keeps such a sway going beyond a jerk and return is a secondary jerk on another part of the bridge, so there are clash points and ricochet points and a single note on a clarinet a whole orchestra is not involved, nudging and chasing and striking chords. Where sinkholes are routinely blamed on recent heavy rains, causing a washout, there is more afoot. Run a line from San Diego, the center of the bow formed by the N American continent lately, and you will arrive at Tennessee. The Utah mine disaster just east of the Salt Flats was another example of that same bow stress, as it was also on that line. If a bow is pulled hard enough, it will break, but the break will be along weak points in the wood. The weak point in the N American continent is the New Madrid fault line and associated fault lines, which will slip, and slipslide sideways as we have repeatedly explained, with land to the west of the Mississippi moving SW and land to the east of the Mississippi moving NE. What does bow stress do to rock and ground in its path? Take a branch and bend it to the point where parts of the branch start snapping. The compression in the center causes branches to snap outward, relieving that pressure. Rock layers are no different. When compresses they will shatter away from the compression point. Ground nearby gets pushed around, as it is not as solid as rock, and in these matters the hand of Mother Nature does not come round and smooth and distribute the ground. Pockets or voids remain. Landslides that occur on land over clay layers have long been known to be related to water flow along the top of the clay layers, which puts the ground above on a type of slippery slide. Enough rain, enough of an angle of descent, and voom one has a land slide. California is famous for these slides, as in California they build on hillsides in the expensive California real estate market. But the Montreal slide is scarsely a steep incline, nor have then been in a constant deluge. Thus, this is a huge section of land to be moving without warning or any expectations of a sinkhole developing. Of course, the Seaway is pulling apart, and this is not so much noticed where there is solid rock on either side of the Seaway as in places nearby where the ground is put under just as much stress. Take a piece of fabric and pull in opposite directions on either side. The fabric will start to give, thread by thread, at first, and most often those threads are not at the point where the fabric will eventually rip in two, but at weak points in the stretch zone. Can we give comfort to those living along the Seaway that the worst is over? Hardly, it has hardly begun.